Just a quick post today then I have editing and client correspondence to finish up before I prepare for 3 sessions this weekend. Busy season is ramping up! My calendar is nearly full until July. Oy! This week we enjoyed the outdoors at Girl Scouts and in the neighborhood. They boys played a pick up game of baseball and Little Miss explored her world under the watchful eye of my iPhone. just starting to warm up around here - finally! Maybe next week will be great for us! Love the pic of her at the door - so cute! So glad you're busy with shoots - that's great!! Wow! That is such a blessing to be nearly booked full! Love that for you! Ack! I always love all of your pictures. And, already full, that is terrific. 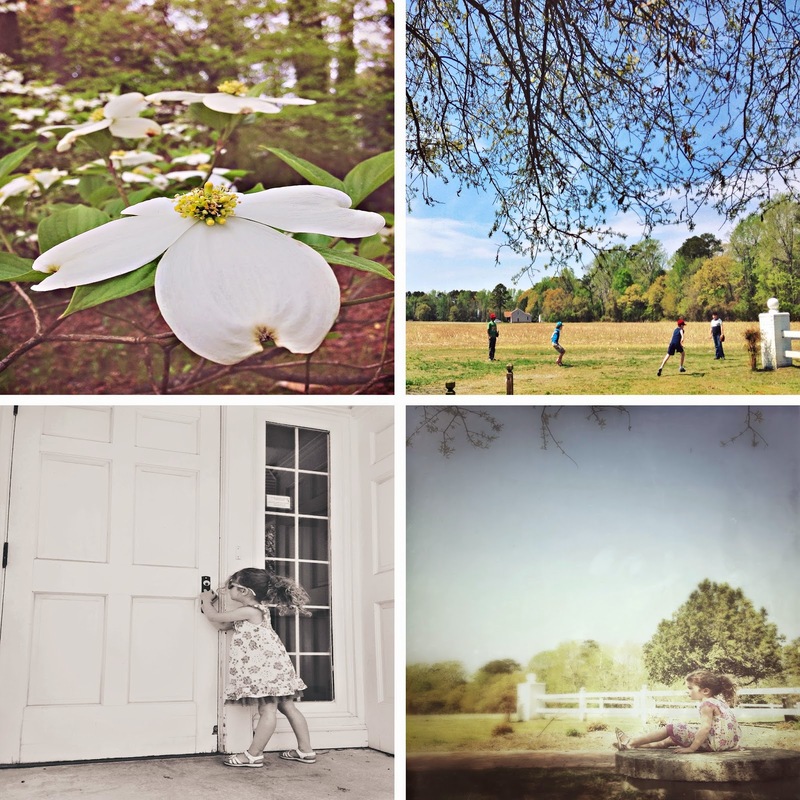 Gorgeous captures of spring this week! These are just some of the few reasons why I love outdoors.